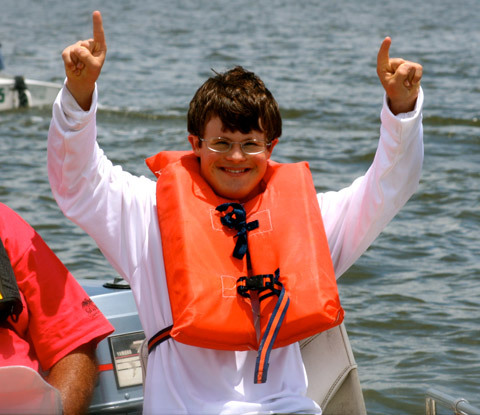 Charleston Community Sailing Inc. and Special Olympics South Carolina launched the first ever South Carolina Special Olympics Sailing team in the Spring of 2005. Our athletes compete in regional events spanning the south east- and in 2015 Kylie MacFarland and Ellinor Walters will travel to the World Games. Practices are held during the week and on weekends in the fall and spring. Athletes learn sailing nomenclature, sail theory, racing strategy and work on boat handling. This program is free of cost to athletes and Unified Partners. Since the program’s inception, we have doubled our number of athletes and look to keep on growing! Athletes need not have prior experience with sailing- our coaching staff is happy to bring virtually any perspective sailor up to speed. Most of our athletes compete with a well qualified Unified Partner in the boat. All practices are run in a safe and professional manner, maximizing on fun and education. This program, as with many of our other programs is constantly in need of volunteers, so if you or someone you know would like to get involved in Special Olympics “Team Charleston” or would like to become an athlete, please email us here! Thanks to all that have already volunteered their time (and boats) to help support this program, a special thanks to the members and management of James Island Yacht Club for opening their arms to fostering this program. 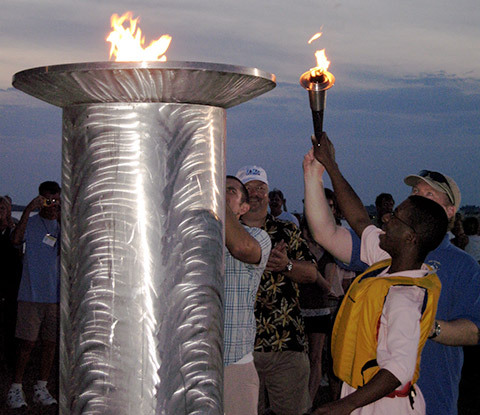 Unified Partners: We are always looking for dedicated volunteers to become “Unified Partners” on our SC Special Olympics Sailing Team. You will pair up and train with one of our athletes and will be required to attend all practices and will then compete in our regional event at James Island Yacht Club. To become a Unified Partner you must be able to single hand a Collegiate 420 if need be, and be very comfortable in the dinghy. Although you and your partner will be under the supervision of our coaching staff, you will have a major part in teaching your partner what they need to know. Good candidates should be patient, calm and above all be able to have a GOOD TIME. Athletes: If you or someone you know would like to become an athlete, contact us. Candidates must be strong swimmers with no reservations about open water. No sailing experience necessary.